My B2B web & digital marketing strategy for 350 euros per month: can cheapness and efficiency live together? In the context of marketing departments being asked to constantly generate greater pipeline with smaller budgets, I want to push this challenge to its limit and imagine how a B2B web & digital marketing strategy would look like with 350 euros as a budget per month. But can a cheap B2B web & digital marketing strategy be efficient? Let’s imagine I want to run a new B2B business. I want to do this long term for a living, in doing this I need to evaluate the market first and see if demand and business perspectives are significant enough. We are reaching a total of 356 euros per month. Concretely though, what would be the plan? A more subjective reason: I am a true inbound marketing believer. The idea of a marketer desperately trying to get prospective attention with push marketing actions (emails, paying advertisement) repulses me greatly, as to me, it basically consists of using the prospective emotions of the moment to trigger the activation of a call-to-action, in order catch contact details. I much prefer the idea of a prospective customer having the opportunity to anonymously look for the information they would want to know via the web, in whatever fashion they want and when they want and ultimately decide independently which organisation’s website met their needs best. I would only use emails to distribute valuable information to existing and real opt-in contacts. In an ideal world I guess. The constraint budget defers from allowing much spending on fancy video production. Considering I also cannot produce home-made patched up videos myself or I would ultimately scare any potential audience, I would definitely need to focus on an on-demand webinar recordings lead generation strategy. This would offer huge potential for content marketing. Active Presenter will allow me to record as many on-demand webinars as I need to position myself as an expert on the appropriate topic and the combo of Wistia + InfusionSoft will allow me to capture leads directly from my videos. On YouTube I would host 1.5 minute video previews of all the on-demand webinars recorded and upload these on Wistia as full versions, and with the turnstile feature of Wistia I would be able to capture leads from there. The full versions of these videos will also be embedded on my WordPress-based website. I would make sure as to not over use the turnstile feature, but use it smartly. For the more promotional on-demand webinars you should add the turnstile at the end. When you are truly delivering high-value content, you can use the turnstile at the beginning. It becomes a two way street: you deliver great free content, but the prospect needs to give you a little something: his/her details. If the level of details that the turnstile offers to catch is too limited, have in mind that you can embed customized forms inside your Wistia video. It takes some time and effort to configure, but I can assure you that it works well. Make sure to segment your on-demand webinars offer in a way that you can sort the prospective audience by level of priority, maturity and overall by persona typology. Prospective audience segmentation (even if you don’t use lead scoring yet) is key. Yesterday I received an email from Digitick selling me French traditional music concert tickets, when I have been only buying hip hop concert tickets since 2008 on this platform. As you can imagine that doesn’t look good. You don’t want to be one of these spamming companies. Use Slideshare (now part of LinkedIn, which is perfect for you as a B2B vendor) and record yourself presenting with Active Presenter and share it as an on-demand webinar when it makes sense. Your ability to blog on a regular basis is going to make the difference. Prepare a publication calendar, and try to develop new content contextually when possible: a blog post on CRM the week before Dreamforce, a blog about competition spirit during the Olympic Games… just be creative! The more specific you create content for your articles, the easier it will be for you to improve you Google ranking from your targeted keywords. Don’t try to talk about everything in the same article, you will have plenty of time to write about all the topics you have in mind. Important aspect: your website optimization. 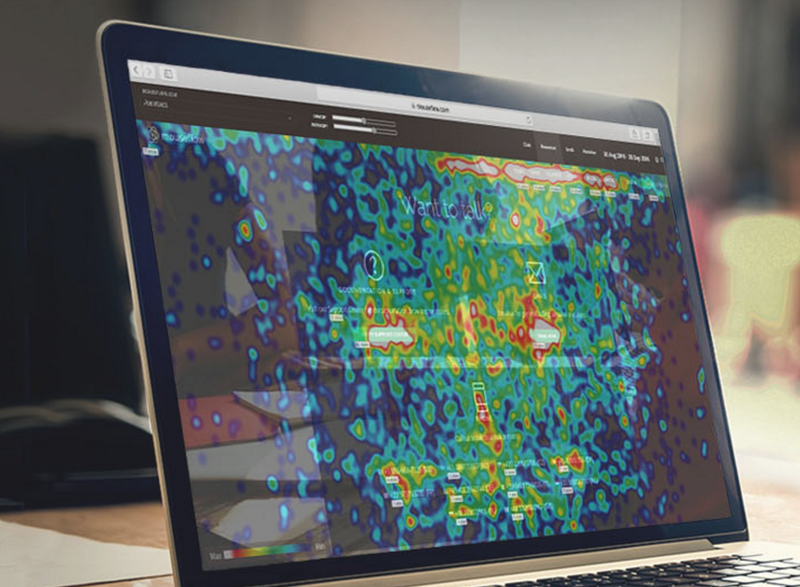 Use Mouseflow to track the behavior of your prospective audience and learn from it to keep optimizing your website. Of course the score you will give to those leads should be scalable, based on the way they have filled out your form, and also from their behavior on your website, that you will be able to track after they filled one of your forms. One nice trick to capture leads even when you are doing content curation: Sniply. It allows you to create call-to-actions redirecting to your blog even when you are posting articles from other websites. See the example below: I posted an external article, and below the page you can find a nice call-to-action redirecting to my BtoB Marketing Sales blog. Don’t drop Google+, but don’t spend time on this platform, just copy and paste your posts from LinkedIn or Facebook. It’s very important to be able to track the conversion rate of your social media actions: create landing pages dedicated to each social media campaign, with customized urls to be able to track which campaign generated the higher number of lead conversion and what marketing pipeline. I enjoyed playing this game and simulating this business/marketing case, I hope you had fun reading the article as well! How to create an intelligent & agile B2B video strategy? Cool article, thanks for the shout out. I haven’t used it, but the new freshsales.io CRM might me more compelling on a budget. Thank you for your comment Jeff, I will look into it, I never used it either. Glad that you enjoyed the article.